I recently bought a fireplace screen and some mercury glass mushrooms from the Wisteria Outlet sale. But I haven't stopped thinking of these candles that I saw there. They'd be perfect for my imaginary beach house in Santa Rosa Beach, FL (wink). 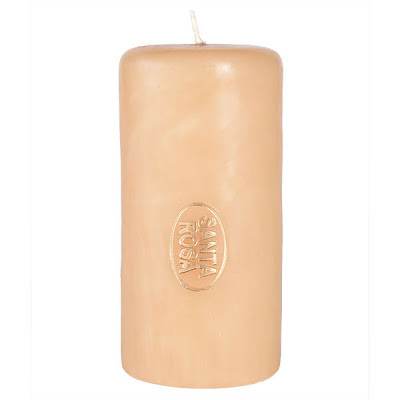 They are handmade in Mexico, stamped in gold, and they are a peachy color that I bet cast a perfect warm glow. Available in more sizes here.